There's nothing like having a common cold to bring out the voodoo in one's friends. As I write this I'm a week into a cold, the first for well over a year. I've had a bad sore throat, aches and pains, and now I'm starting to get swollen sinuses and excessive mucus production. Classic viral infection. It's a story that must have been playing out in humans for 10's of 1000s of years. Apparently there are over 200 variations of the viruses that cause the range of symptoms that we call "a cold". We call it a "cold" or a "chill" because historically we thought that cold damp air upset the four bodily humours, and caused the symptoms. Some people still think that being cold and damp causes colds, though this is not true. One of the main recommended therapies, as I'm sure readers will know, is vitamin C and lots of it. Tell someone you have a cold and like a Jehovah Witness on the doorstep asking if you "know Jesus", they will ask you if you're taking Vitamin C, because "It helps me so much when I have a cold". Hallelujah! We have Nobel Laureate Linus Pauling to thank for popularising Vitamin C. Back in 1970 he published a book called "Vitamin C and the Common Cold" which made some rather bold claims. Unfortunately the studies he based his book on have subsequently been discredited (by one of the authors of the study cited below). However he stimulated interest and since then many trials of varying have been conducted, but usually with confusing results. The way to deal with confusing results to do a review: combine all the studies done over a period and see what the averages look like. One of the largest ever reviews of research on Vitamin C was published in 2013. "... regular supplementation had a modest but consistent effect in reducing the duration of common cold symptoms, which is based on 31 study comparisons with 9745 common cold episodes." "Trials of high doses [in the order of 8000mg] of vitamin C administered therapeutically, starting after the onset of symptoms, showed no consistent effect on the duration or severity of common cold symptoms." The regular supplement was between 200 mg and 2000 mg with the most common dose being 1000 mg. The mean reduction in the duration of the cold symptoms for adults was 7.7% (ranging between 4 and 12%). Thus if my present cold lasts 14 days (which seems to be normal for me in the UK) I could expect a reduction in the duration of my symptoms of approximately one day from taking 1000 mg of vitamin C per day. Taking doses of 8000 mg per day showed no increased benefit unless one was a marathon runner (or similar) in which case it was associated with a moderately lower the risk of infection. One day out of 14 is hardly spectacular and is certainly well under the perceived benefit that people claim to gain from taking it. Mind you the study showed considerable variation. It might be almost twice as much (almost 2 days out of 14), but it might be half as much. Something else to keep in mind is that with 200 separate viral agents causing a wide range of symptoms there is no standardised time that a cold lasts. 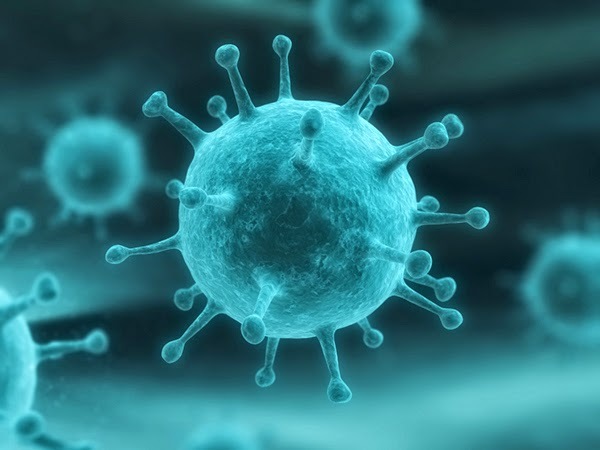 Two people could even be infected with the same virus, at the same time, and still have symptoms of varying duration because of factors unknown. Of course scientists use control groups and statistical analysis to try to determine what is significant, but when every case of the common cold is different it's important not to overstate the value of these studies. For a lay person, dosing themselves with store-bought vitamin C and no control group, its not really possible to make sensible deductions about the efficacy of the stuff on their illness. Most of the studies that have been conducted have in fact been inconclusive or contradictory. Many of the studies conducted in the immediate aftermath of Pauling's book found no evidence at all for therapeutic effects of vitamin C. It's only in a large review that some clarity emerges. So if the measurable effect is roughly one day in 14 why do people absolutely swear by Vitamin C and hawk it like bible-thumping evangelists? As pointed out in my précis of work on reason by Mercier & Sperber, we humans are very poor at solo reasoning tasks. Reason is a process that seems to have evolved for small groups to make collective decisions. One person proposes as idea and presents all the evidence for it (and thus confirmation bias is a feature of reasoning, not a bug), while other group members critique the idea and/or propose alternatives. Reasoning helps lead a small group to a decision. It does not necessarily lead to the truth or the Truth, but simply helps a small group decide what actions to take. Presumably the results of previous decisions play a part in critiquing the idea, but most of us simply cannot both propose and idea and critique it at the same time. Thus it's natural to argue for a remedy like vitamin C if one believes in it and to martial all the facts at one's disposal to support the argument. It's just that people making arguments find it hard to look beyond facts that confirm there argument. And it's up the rest of the group to come up with counter arguments. When a meme like "vitamin C is good for colds" becomes popular (due to a Noble laureate describing it as a panacea) then there are few people making the counter-argument and the reasoning process simply fails to work. There is no one to play the Devil's advocate and without that a theory cannot be properly thought about, let alone tested. There is another possibility. I don't have my copy to hand, but there is an interesting supplement in Ariel Glucklich's book The End of Magic to do with perceptions of time. While studying tantric healers in Varanasi, he also came to know some divers. These men free dived from rowing boats to find treasure on the bottom of the Ganges (I think it might have been gold from corpses, but the reason is immaterial). Asked how long they could hold their breath these men answered in all sincerity "15-20 minutes". Which is incredible! Or it would be if it were true. In fact when timed they were under for about 5 minutes, which is about the physiological limit and similar to pearl divers and others to do this for a living. So where they lying? Glucklich concluded that they were not lying, but their sense of time when underwater became distorted. The diving is in fact quite dangerous as the river has strong currents and a huge amount of debris. Diving stretches the body's physiology, but when you add danger it magnifies the effect. Subjectively the divers experienced the time as much longer than the more objective observer sitting safely on the boat with a stop-watch. I wonder if something similar happens to the ill person? Being ill seems interminable. I for one sleep badly when I have a cold and feel wretched for days on end primarily because of this. Perhaps time perception is altered. And something which promises to reduce the time of suffering becomes subjectively inflated. I wonder if an effect like this could be measured? Children are more responsive to the vitamin than adults"
Remembering that the "exercise" referred to was marathon running and the associated doses of vitamin C were in the order of 8000 mg which is 10,000 times the daily requirement for the stuff in the body. The result doesn't apply to the kind of moderate exercise that most people manage. In fact they chose not to focus on the result in the way that I have, i.e. on the demonstrable (if variable) therapeutic effectiveness of vitamin C in reducing the duration of symptoms. That was a more positive story. The Mail, generally speaking, is a right-wing paper with an agenda that includes demonising the poor and unhealthy. It is famous for regularly featuring front page stories on the latest cause of cancer or cure for cancer, with a preference for the former. In the Mail's world everything is either a cause or cure of cancer. The slightest hint that a substance, or especially a food, causes cancer and it goes on the front page. So for them it's natural to see the story as a criticism of "couch potatoes" and to focus on the negative side of health stories. G. Michael Allan and Bruce Arroll. 'Prevention and treatment of the common cold: making sense of the evidence.' CMAJ (published ahead of print January 27, 2014). But this is not available for free online reading (unlike the previous study). So the average person simply hits a dead end at this point. There is no way to check what the journalist is saying, and in the case of the Telegraph the journalist has clearly mislead the reader. If you search for research on this subject the results vary so wildly that it is very confusing. How is a lay person supposed to make an informed decision? The simple answer is that we don't. We almost never do. We decide based on what we already know, what our friends and family say, and some fairly random research on Google. Most of us are not able to assess the reliability of the information. It's an invidious position to be in. Happily the large meta-analysis is free online, and these large studies of studies are probably the best way to assess the effectiveness of any given treatment. So we can rest assured that in the case of vitamin C it's worth taking when you have a cold. I thought of this point having more or less finished the essay above. It might have been possible to weave into the main narrative, but in a way it works as a standalone comment because it highlights something about the public perception of medicines. Notwithstanding the poor standards of science reporting in the newspapers, the studies referred to above are very careful to eliminate the placebo effect by using double blinds and randomisation, so that even those administering the treatment don't know who is being given what. The placebo effect was first noticed because it skewed results in drug trials where the participants or the doctors knew what treatment was being given. When the patient believes that they are receiving an effective treatment that treatment is more likely to be effective and/or like to be more effective than if they believe they are getting no treatment (there's some suggestion that the knowledge of the administering doctor can also have an effect). From the scientists point of view this means they can be fooled into thinking that a drug is more effective than it is (they are really only interested in the chemistry and not the psychology of drugs they hand out). Vitamin C + credulity with respect to vitamin C are (on average) more effective than vitamin C alone. Of course no one measures this extra effectiveness, because the scientific credibility of drugs rests on their their chemical effects. But where it has been measured, the placebo effect is really quite a significant factor in health treatments. Lay people might like to think of placebo as the credulity bonus. Doctors of course are supposed to be forbidden by moral codes from over-stating the effectiveness of drugs, despite the fact that many drugs -- like antibiotics and antidepressants -- are routinely over-prescribed. It would certainly be less harmful to prescribe vitamin C for colds than it is prescribing antibiotics. The excess vitamin C over the ~40mg or so recommended by the NHS is just excreted in urine and there are few side-effects even at relatively high doses. next week it's back to limbo.